You can't measure the joy of being a mom in any possible way. It’s a mother’s pride that can’t be taken by anyone. But along with the anticipation of the baby’s arrival, are the discomfort and pain during the pregnancy. But don’t let the challenges give you stress. There are plenty of safe and natural pain relievers that can help when you’re pregnant. Don’t let your guards down but bring your hopes up. Expecting a baby is a journey after all. I envy those women who undergo pregnancy with flying colors. For some, having that new life growing inside does not change their routine at all. In fact, they even look more radiant than before. But unfortunately for me, it was a struggle day by day. If you have these pains, I recommend to look for safe and natural pain relievers since you’re pregnant. Because of our raging hormones, these troublesome headaches tend to torment us often. Problems usually occur together with morning sickness. It’s a good thing that pains like these are simple to manage. However, for some, their agony is caused by migraines. Majority of pregnant women feel back pains especially the baby is already heavy enough to cause strain at the back. Some can take it lightly. However, for those who have back pain before they conceived and for women who are overweight, this could be torture. Varicose veins, on the other hand, give a throbbing pain in the legs. Hormonal change and pressure due to increasing weight affect poor blood circulation making it the reason of swollen veins. It usually goes back to normal after delivery. It could be the toll of gained weight, certain conditions or vitamin insufficiency that causes cramps but sure it hurts so much you can scream. It usually occurs at night thus disturbing our sleep. When pregnant, our body tends to hold more fluid than usual. Don’t be surprised to see your feet, ankles, and fingers to be swollen. While we were busy with our daily routine, the extra fluid accumulates in our feet and legs. At the later part of the pregnancy, the increased blood flow and the pressure caused by the weight of the baby is what makes the hemorrhoids developed. With the desire for relief, seeking medical help or remedies are typical for a mother-to-be. Nevertheless, taking in medication may cause risk to the baby. It is essential to keep ourselves healthy. You’ll be glad to know that there are lots of safe and natural remedies that are proven safe to anxious mothers. These ideas can guide you to manage your pain. First, I need to remind you that pre-natal massage must be performed by a well-trained professional. Experts for this therapy can ease the pain that you feel at the back and hips. A good massage can help relieve stress and gives you a good sleep. If you’re into this, make sure that the place has the appropriate table with hallowed areas and soft pads to accommodate your delicate body condition. A pillow for your bump is useful too. If you’re fond of using balms during a massage, you might look for another option for the meantime. Otherwise, use it in minimal amount. Try this every night, and I guarantee, it soothes your swollen and tired feet after a long day. The warm, clean water eases the ache and gives you a refreshing feeling before sleeping. Try to add three drops of peppermint oil for a more relaxing therapy. Warm water also works well with your swollen fingers. Please use peppermint oil discretely. Aromatherapists believe that excessive use of this essential oil is not right to pregnant women. If not, you can take a warm body bath, after a long tiring day. We need to keep the blood flowing freely in our veins. A mild exercise can offer pain relief, especially to our legs and feet. Don’t strain yourself much and give yourself plenty of rest. Avoid exercising on your back for long. It causes reduction of blood flow and can be harmful to the baby. Yoga and swimming are good examples of mild exercise. Make sure to consult your physician before attempting to practice it. Just bend and stretch your foot up and down for a minute and rotate it alternately for the next minute. Do the same to the other foot. During cramps, you can pull your toes upward to get rid of the pain. In fact, asking help from a physical therapist for a program exercise is a good idea! You can buy this maternity belt at any mom-baby stores. This strap support the weight of your baby bump. Wear the support belt just below your abdomen to relieve the back from the pressure. 5. Don’t walk or stand for a long time. Gaining weight in time takes a toll on our legs and feet that supports our upper body. Be kind to yourself and spend the time to rest and relax. Now you know why pregnant women are allowed to cut in the line at groceries or movies. Allocate a time within the day to rest and raise your leg up a foot higher than your heart. Put it up for an hour and relax. A few cushions under may help hold it up. Sit straight and lie on firm pads. 6. Use the most comfortable footwear. Never wear tight shoes. Imagine how difficult it would be to put it on when your feet are starting to swell. I tell you, you might end up in severe pain at the end of the day. While in this situation, it’s best to wear something comfy like flat sandals. Please set aside your high heels. It will be easier if you keep water within your reach for the entire day. Drinking a lot of water prevents discomforts like heartburn, dizziness and digestive problems, and cramps. Increase water intake on hot summer days. A proper balance diet goes well in connection to this. Food rich in fiber, fresh fruits, and veggies is helpful not only for the baby but is also prevention for illnesses caused by poor diet. So, be conscious of what you eat. Support leggings or stockings can help hold your leg muscles. It also helps from the pain of varicose veins. Now, if you’re open to traditional Chinese medicine, this treatment uses tiny needles to insert into our skin. The pins hit specific stimulation points in our body that causes the release of body energy for faster healing progress. If you’re afraid of needles, you don’t need to worry. The process is as painless as it can be and is known to relieve back and hips pain. 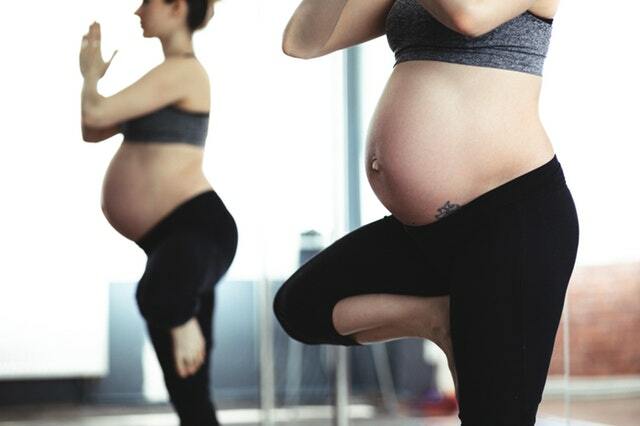 Acupuncture is safe during pregnancy. If you’re willing to go this far, a chiropractor can be available to get rid of back pains. The doctor is an expert to spine alignment. He is well trained in adjusting the spine and the nearby muscles to directly back to normal. Aligned spine improves body healing, and the fit muscles are strong enough to pull out from the alignment. The treatment de-stresses our body, preparing it for the ongoing pregnancy changes until the time of delivery. Using heat is old school, but we all know that this is the easiest, cheapest and most practical relief for pains. I have a heating pad at home and heated seats in the car. It is a comfortable relief for your lower back soreness. Please be reminded not to use a heating pad for long. When we’re pregnant, we need to maintain a core temperature less than 102 degrees. I recommend 20 minutes per session and then take a break. Provide enough time for your body to cool down. To be safe, read carefully the instructions found on your heating pad. There is a part there intended for pregnant women. Or else, you can just put heated water in a bottle or bag and use it as a hot compress. Well, every pregnancy is unique. It’s quite fun to share experiences during group pre-natal meetings. Some may have less trouble adjusting, but a few needs assistance. I don’t believe that being dependent on drugs as painkillers is not safe for my baby unless we’re in a critical condition. And it usually needs advise from my doctor if it comes to that. I find these 11 safe and natural pain relievers when pregnant helpful for a healthy pregnancy. 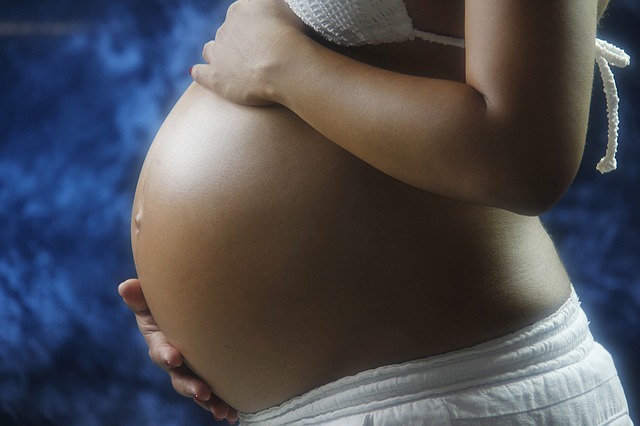 Just a few tips for mothers-to-be, our pains during pregnancy is only temporary. It is nothing compared to the joy our babies bring the first time we hold them. So hold on tight, drink your vitamins and eat your veggies…since your baby is all worth it!